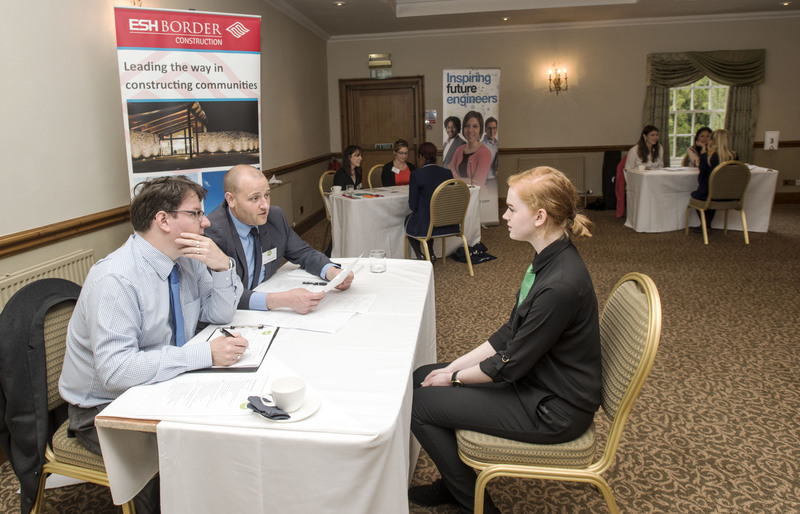 Record numbers of Scottish school children are set to benefit from an award-winning employability skills programme, as Esh Border Construction’s Building My Skills launches for the third academic year. The initiative, which will engage 42 businesses and 2,000 students from 14 secondary schools across Scotland, brings together pupils and employers. Its aim is to offer students a well-rounded introduction to the world of work, equip them with valued employability skills, and deliver relevant and worthwhile advice from real business people. “It is wonderful to have such a wide variety of delivery partners on board for this year’s programme. “The ethos of Esh Border Construction is very much rooted in the ideal of giving back to the communities in which we operate. That is why ‘Added Value’ programmes, such as Building My Skills, play such an important role in our delivery. Businesses taking part include: Edinburgh Airport, Peace Recruitment, Jewson, Peter Brett Associates, Contract Scotland, Kwik Fit, NHS Borders, Dyslexia Scotland, Fife Council, and Rabbie’s Tours. Each session is delivered by a different business guest who will provide an insight into their career path, their sector, valued employability skills and support the completion of a ‘checkpoint’. The scheme is backed by the Developing Young Workforce (DYW) programme – which aims to better prepare children and young people aged 3–18 for the world of work. Students who successfully complete the programme will be invited to the regional mock interview day – where they will be put through their paces by a local employer. The scheme, which is now underway, has received national plaudits including nomination in the CSR category at the flagship Scottish Business Awards, Business in the Community’s coveted ‘National Big Tick for Education Partnership’, and CECA National Inspiring Education National awards.